A planetary tragedy is just the beginning of the journey for Canadian-born artist Kelly Richardson. A hard reboot on humanity lurking on the periphery of our collective consciousness, the apocalyptic sublime threaded throughout Richardson’s work returns in the scintillating Pillars of Dawn, which is exhibited at Northern Gallery for Contemporary Art in Sunderland’s National Glass Centre from Thursday 28th March until Sunday 2nd June. 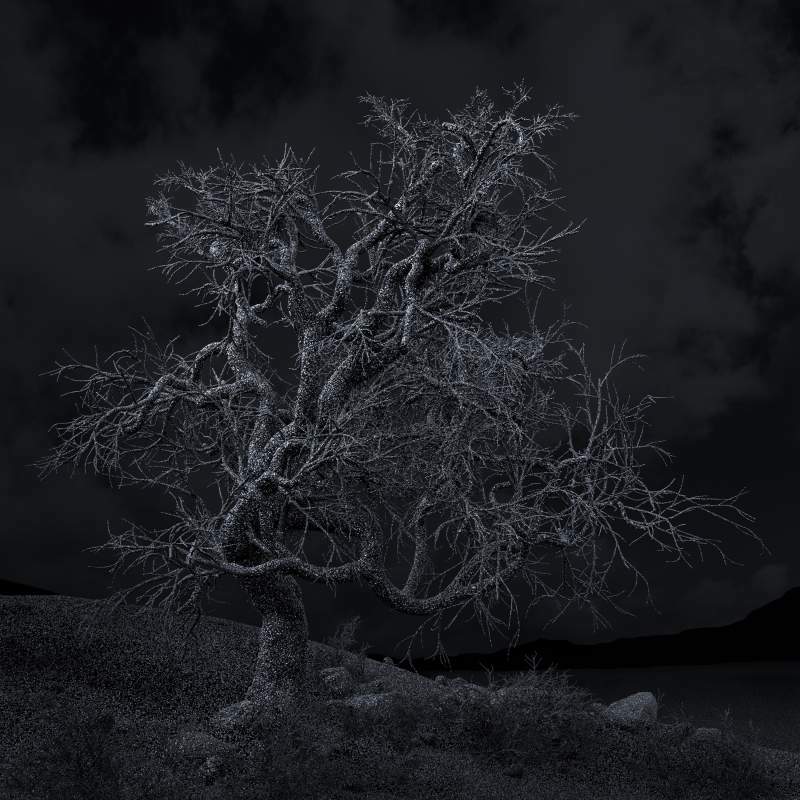 Using a series of video installations and large printed images, a desolate world is conjured where every lifeform is crystallised or carbonised, the sole exception a sequence of solitary trees. Populated by millions of individual crystals (one for every species still existing on Earth), wild landscapes boast intricate 3D models developed through conversations with climate scientists over the last decade. Through masterful collaboration and a near-supernatural control of her intense creative process, Richardson crafts vivid, hyper-real places set in imaginary futures, knowing precisely the feeling she wants to draw from those confronting the work.